How Do You Reach A Custody Agreement? If you’re going through a divorce, there a number of ways that you can reach a custody agreement. It is important to make sure that you seek legal advice before you take any steps forward here. You need to be sure that you are making the right decision. Once you have done this, you can reach an informal agreement using a mediator or with the decision of a judge. Once an agreement has been reached informally, this will result in a binding written legal agreement. This can have various names including a parenting agreement. The agreement will be shown to the court where it then becomes a binding contract. At this point, the parents must agree to the terms. It is possible to reach these types of agreements without any help from an attorney. But, if you want to make sure that you do get custody of a child, this is not recommended. 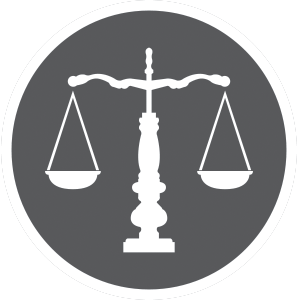 If an attorney is involved, this will usually take the form of a mediation, and that occurs outside the courtroom. These situations are less adversarial with a neutral party handling disputes. Each parent and attorney will be provided with a chance to make their case, and hopefully, the agreement will be shaped through teamwork. There is a give and take to the proceedings before the mediator, or neutral party draws up a plan that will be finalized through court. What If An Agreement Can’t Be Reached Through Mediation? At this point, custody must be dealt with in court. A family court will determine the custody plan in this case, and Michigan courts use a ‘best interest of the child’ standard. Ultimately, this simply means that the child’s needs are put first, however, the factors that are taken into consideration can vary from court to court. Some courts will also consider the child’s preference. This typically means that an older child will be allowed to voice their opinion on who they want to stay with in court. Other courts will look at whether or not the parent can provide a stable lifestyle for the child as well as the age of the child in question. Some judges have leaned on the idea that younger children need to be with their mother. 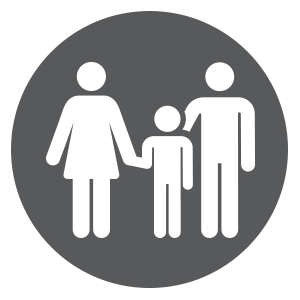 What Are The Types Of Custody Arrangements? Physical custody – This means that a child is allowed to live with you after a divorce. This can be a shared agreement with both parents gaining this right. Typically, this is generally the favored approach by the court. It’s important to be aware that this does not need to be an equal split and one parent can be granted custody for the majority of the time. If parents are not able to agree on a schedule, the judge will set one up. Sole physical custody simply means that a child will live fulltime with one parent. While this does provide stability for the child, it can be incredibly difficult for children to lose the other parent from their life. Visitation Rights – In a custody agreement, there will be a visitation schedule that both parents are legally required to follow. This means that parents can not take their child away from their partner without their consent. In certain cases however, visitation rights can be restricted for one parent. This is usually the case if there is the threat of harm or an issue with abuse. Visitation rights can be tricky to understand, particularly when it comes to the rights of extended family members. If you are in any doubt about your rights after a custody agreement, make sure you speak to your attorney. Legal Custody – Do be aware that physical custody does not provide legal rights to make decisions about your child’s upbringing. For this, legal custody must be provided to an individual parent otherwise it will be shared. This includes decisions on education, religious instruction, and medical care. Usually, shared legal custody is the standard outcome. However, there are cases where one parent will be provided full rights here. There will always be emotional issues to contend with when a child is part of divorce proceedings. It is important that they do not feel like a tool in a legal battle and that they are not used by one parent against the other. There are a few ways you can make your divorce easier for your child. Make sure that you are always respectful of one another through the proceeding. Children should not see you yell, verbally attack each other or threaten violence. Children are emotionally dependent on the idea of their parent’s relationship, particularly when they are younger. You must ensure that they know the separation has not been caused by them and that you both love them despite the divorce. Make sure that they are involved in the divorce proceedings as little as possible. Do not try and encourage them to pick a side as this can cause severe stress and anxiety for the child. It’s important to choose the right attorney who can guide you through all these issues and make sure that your child is protected from the negative issues of a divorce. We hope this helps you understand the aspects of child custody during a divorce proceeding and that it allows you to avoid some of the common issues.